Jointly organized by Ministry of Information Industry, State Development Planning Commission, State Economic and Trade Commission, and China Council for the Promotion of International Trade, at the Beijing International Convention centre. A platform for e-government practitioners and IT professionals in Asia Pacific to exchange experience and update the latest e-government technology. Site contains its conference agenda. Also offers online registration service. A regional fair in Shanghai specializing in light industrial products, textiles and garments. Site contains an introduction to the fair, a list of exhibitors, site plan of the exhibition centre, and regional profile. Specializes in undertaking all kinds of exhibitions and conferences. Site contains expo preview and online expo info. A trade event organized by the HKTDC and Messe Frankfurt (HK) Ltd featuring green world, green enterprise and green living. Site contains fair details, an exhibitor list, a hall plan, event schedule, and information for exhibitors and visitors. Jointly organized by the Hong Kong Trade Development Council and the Labour Department at the Hong Kong Convention and Exhibition Centre, featuring educational institutions, government departments, associations, book publishers, etc. An annual expo held in Shanghai and Beijing, delivering EDA and test technology for the vendors, manufacturers and engineers. Site contains lists of exhibitors and products, show schedules and reports. Also offers online registration for exhibitors and visitors. An annual expo delivering EDA and test technology for the vendors, manufacturers and engineers in Taiwan. Sites contains lists of exhibitors and products, show report, conference schedule, and offers online registration for exhibitors and visitors etc. Jointly organized the Hong Kong Trade Development Council and the Messe Munchen International at the Hong Kong Convention and Exhibition Centre, featuring electronics production and electronic components and assemblies. An event organized by the China Electronics Appliance Corporation at the Shenzhen Hi-Tech Fair Exhibition Center, featuring operating systems, applications software, etc. Site contains fair background and a downloadable application form. A high-end components and embedded systems exhibition and conference organized annually at the Taipei International Convention Center. Site contains an exhibition guide, lists of exhibitors and products, conference program info, show review and more. Annually organized in Shanghai, Beijing and Shenzhen for high-end components and embedded systems enterprises, suppliers and investors. Site includes an exhibition guide, lists of exhibitors and products, conference program info, show review and more. Organized by GS1 Hong Kong and EPCglobal Hong Kong featuring the latest trends, issues, and developments in EPC/RFID. Site contains program details, conference topics, speaker's biography and an online registration form. A calendar of exhibitions in Hong Kong with date, location, and organizer details. Provided by the Hong Kong Exporter Net. Contains bidding news and recent events update. Also gives a brief introduction to Shanghai's economy, fascination and miracles. An online exhibition and tradeshow service provider for Asia. Site contains its profile and services info. Also provides search for its events. A calendar of economic events in Asia provided by the French Business Directory. A Singapore-based marketing communications company specialized in event management, audio visual production, exhibition design and construction. A conference jointly organized by the European Patent Office and the Intellectual Property Office of Singapore, featuring the latest developments in intellectual property. Site contains the program and registration details of the Conference. A convention and exhibition center in Daegu Metropolitan City for business and cultural activities. Site contains info on its event calendar, facilities and services, newsletters and directions. Organizers may submit their proposals online. An alphabetical listing of exhibition companies and organizers in Singapore. This page links to the major exhibition venues in Asia. An exhibtion organizer hosting global trade shows throughout Thailand. Site includes its profile, cooperating bodies and useful links. Search for trade shows and exhibitions worldwide. Here you can also visit or exhibit in industry specific virtual trade shows. A venue to host exhibitions that provide regional industry a platform to showcase their products. Site includes its news, press, events calendar, and facilities info. A UAE-based subsidiary of the EXPO Group hosting trade events maining in Africa, Middle East and India. Site contains company's profile, a full exhibition calendar and contacts. A full line hobby show in the US. Site contains general info about the show. Comprised of the Judson F. Williams Convention Center and the Abraham Chavez Theatre. Site features facilities and services of the two infrastructures, calendar of events, a tourist guide to El Paso, plus online scheduling of events. An annual event for the global manufacturers and distributors of electronic components, instruments and accessories. Site contains its floor plan, program schedule and registration fee. A yearly conference dedicated to the field of mediation. Site contains its conference schedule and registration info. A trade shows and exhibitions directory of Canada searchable by date, city, industry and keywords. A Mexican packaging exhibition showing packaging and processing machinery and components. Site contains its floor plan, booth prices and a listing of exhibitors. An annual event specifically designed for network managers across the UK. Site provides event highlights, press releases, a listing of exhibitors, plus an online registration form. A global environment fair held every three years in Cologne. Site covers a list of exhibitors, services to exhibitors and visitors, press releases and reviews of the previous event. Held every two years in Cologne featuring European vending sector. Contains its overview, registration details, a list of exhibitors, services for participants, a media center and reviews for the past event. An international automobile, auto spare parts, commercial vehicles and service equipment exhibition in Turkey. Site contains exhibitior list, floor plan, plus an overview on the automotive industry of Turkey. Specialises in coordinating and hosting tailor made conferences/events and seminars on finance, capital markets, investment and technology. Site contains a database of its past and future events. An international trade fair for transport, logistics and telematics. Site contains its background, participation info, scope of exhibits, exhibitor listing and press releases. A professional conference organizer based in the Netherlands. Site includes its profile, services and an event calendar. A trade exhibition conference organized in Frankfurt, focusing on banking and financial technology. 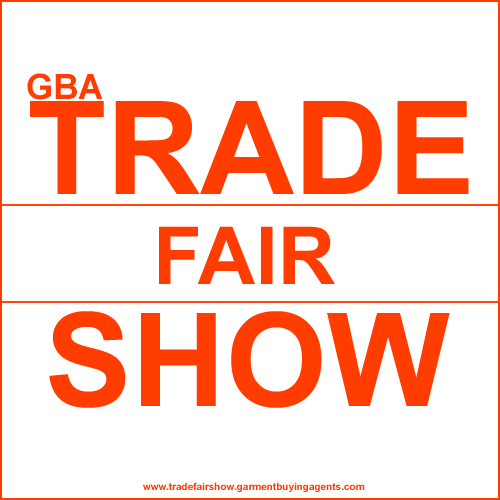 Site contains trade fair review, plus exhibitor and visitor information. An annual event in Brussels for European businessmen and policy makers to discuss on current topics. 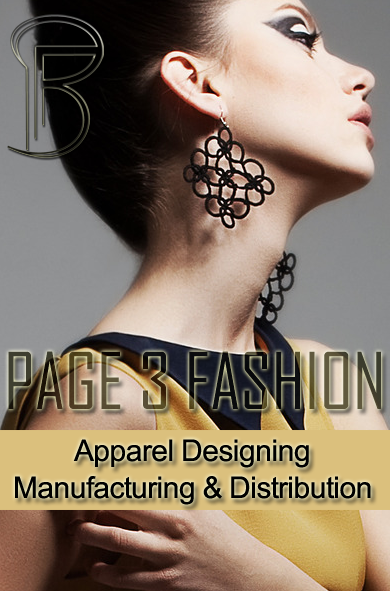 Site covers event details, program rundown, registration info and press releases. A service that helps you to find events and activities relating to telework, teletrade and e-Commerce, telecooperation and other information society or networked economy matters. A directory of IT and software exhibitions by major European country in alphabetical order, with name of exhibition, city, name of organizer, and date available. An international seafood-specific trade show featuring exhibitors and visitors from around the world. Site contains its news, floor plan, facts and figures, as well as visitor and exhibitor info. A European trade show of the industrial body building and haulage industry. Site contains its news and an exhibitor directory. Includes event services companies in the UK, ranging from firework displays co-ordinators to crowd control barriers suppliers. A database comprising all exhibitions and fairs organized in Belgium. Searchable by place, industry or date. An annual trade fair in Munich featuring international commercial real estate sector. Site contains event details, expo reviews, online registration, exhibitor and visitor listings, a hotel directory and press center. Site contains an introduction to the exhibition park in Portugal, with the info on its location, transportations, facilities, events calendar and more. An exhibition organizer in Scandinavia for IT and Telecom. Site contains its profile and exhibition programs info. UK's trade fair organizer that organizes several focused conferences and workshops each year around the world. Site contains its current list of conferences. An annual exhibition devoted to the achievements in electronics, microelectronics, electronic components and technologies in Russia. Site contains its news, hall plan, services and prices. A fair organizer in Estonia. Site contains its profile as well as the fairs and exhibitions held at the Fair centre. A calendar of international conferences and exhibitions in Hungary searchable by date, keywords, and destinations. Provided by the Hungarian Convention Bureau. A three-day trade event held every two years in Auckland featuring engineering machinery and electronics. Site contains its profile, an exhibitor directory, scope of exhibits, press releases and event reviews. Online registration is available for visitors. Contains profiles of events in Africa and elsewhere in the world. You can search by specifying your criteria. Provided by Mbendi. A company based in Johannesburg that specializes in the organization of exhibitions. Site contains its profile, exhibition programs and visitor registration information. An exhibition organizer in Australia. Site contains its event calendar and exhibiting information. South Africa's online trade expo platform for over 60 industry sectors, including international import/export related expositions, trade fairs by industry for 6 continents and an exhibition centre hosting 60 South African industry specific expos. Provides search for trade exhibitions and fairs in Africa and the Middle East. A calendar of international environmental trade exhibitions, which include gas, oil, and electric products, provided by en-found.com. Contains the date, name and location of each listed event. An organizer of finance and investment conferences in more than 60 countries. Site contains its events calendar, sponsorhip opportunities, and links to other Euromoney sites. This database features over 8,000 exhibitions and conferences coming from more than 900 event organizers from 113 countries. Searchable by name, industry, date, region and organizer. A guide to exhibitions, events and suppliers worldwide. Covers industry news, venues and suppliers listings, events calendar, plus a database of events searchable by name, category, acronym, venue or location. Provides you with a single point of access to major trade show information, exhibitions related services, products and services worldwide. A listing of all trade, public, industrial and consumer exhibitions and tradeshows worldwide. Includes a database of tradeshows searchable by organisers, venues, and project managers. Also contains tradeshow news, country info, and a supplier database. A directory of directories and search engine linking to over 500 websites serving the events and international trade community worldwide.